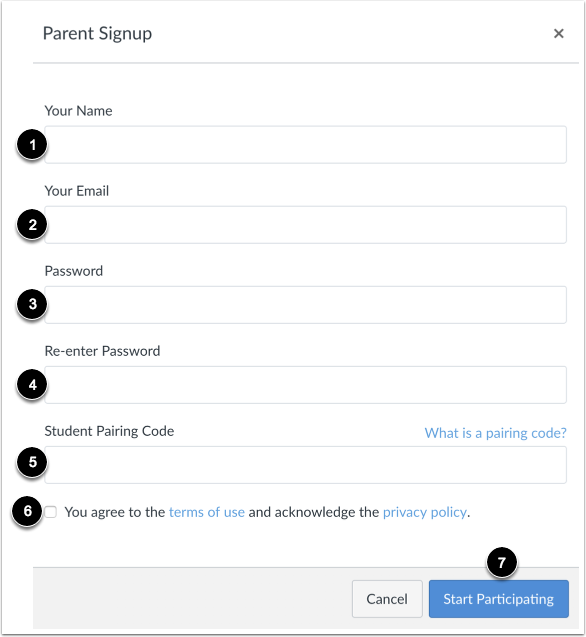 Parents can sign up as an observer in Canvas. Observers can link their Canvas account to their student's account so they can see assignment dues dates, announcements, and other course content. Observers can view the course content but cannot participate in the course. This lesson is for parents who do not have a Canvas account and want to observe their students in their courses. 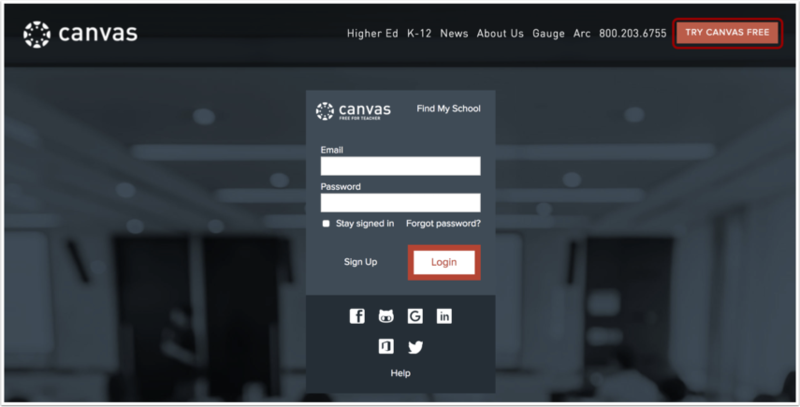 If you already have an account from your student's institution, log in to Canvas using the credentials given to you. If the registration banner is not available in the login page, the institution has not enabled this feature. Please contact your student's institution for assistance. The registration banner is enabled through Canvas authentication. To observe a student, you must have a student pairing code. Once you have an account, you may be able to view student information through the Canvas Parent app. Access to the Canvas Parent app is controlled by the student's institution. If you already have an account from your student's institution as an observer, you can always view student information through the Canvas Parent app. In a browser window, enter the institution's Canvas registration URL (e.g. canvas.instructure.com). Click the Try Canvas Free link. 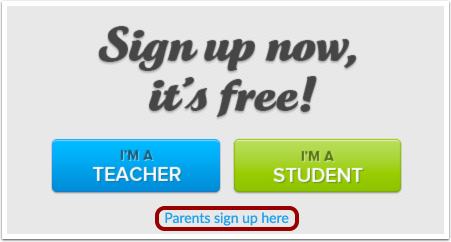 Click the Parents sign up here link. Enter your name in the Your Name field. Enter your email in the Your Email field. Re-enter your password in the Re-enter Password field. Enter a paring code to link your account to your student in the Student Pairing Code field. You can begin observing your student in Canvas immediately. Learn how to observe additional students in your account. Learn how to modify your Canvas notification preferences. Previous Topic:How can I use Canvas on my mobile device as an observer? Next Topic:How do I log in to Canvas as an observer? Table of Contents > Introduction > How do I sign up for a Canvas account as a parent?